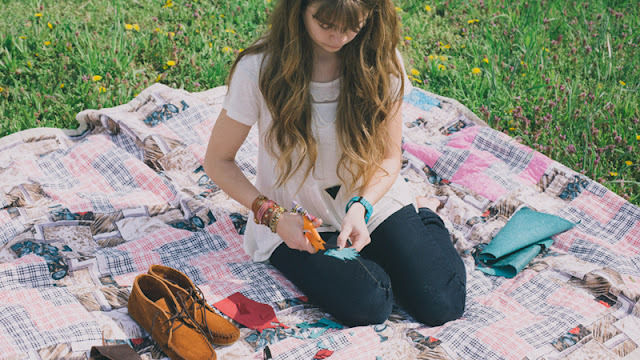 A few months ago I teamed with Minnetonka Moccasin to come up with a way to personalize and "DIY" a pair of their moccasins. I chose the ankle suede boot (which I love!) and came up with a simple way to make these shoes my own. You can head on over to the Minnetonka Blog to find the full video tutorial. These boots are some of my favorite, I have been wearing them with shorts and skirts this summer, I even wore them on my trip to India! Doing projects like these can be addicting, now I am itching to DIY these boots in taupe. 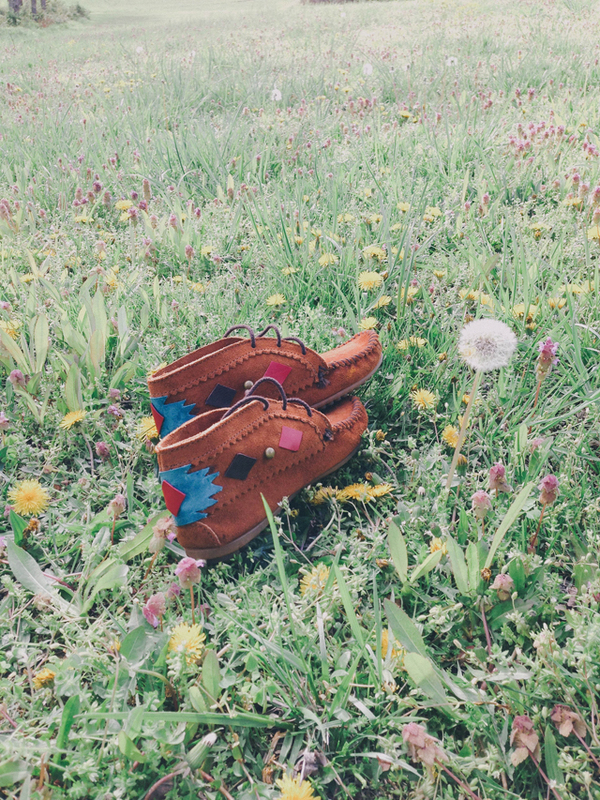 Make sure you check back tomorrow for a giveaway from Minnetonka. Oh my goodness you did SUCH a wonderful job. I love love the way they came out. Definitely will be back tomorrow!